Superheroes, assemble! 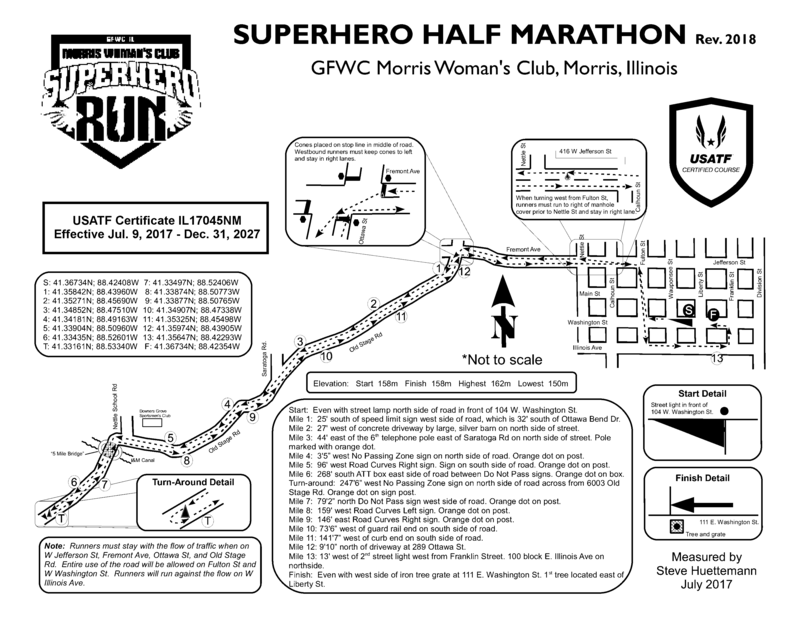 You can still register for the upcoming Morris Woman's Club Superhero Run on April 13, 2019. Come dressed as your favorite superhero. The half marathon starts at 7am and the 5k starts at 9am. You can register on Friday, April 12 from 5pm-6pm at the Fraternal Order of Eagles on East Washington Street, or register on Saturday, April 13 from 6:15am - 8:30am. The cost for registration is $35 for the 5k and $95 for the Half Marathon. Click here to see a map of the Half Marathon course. Awards for both the half marathon and 5k will be given to the overall top male and female runner, as well as 1st, 2nd and 3rd place runners in each age division. There will also be an award for best costume. For more information, please visit https://raceroster.com/events/2019/19841/superhero-run-2019.